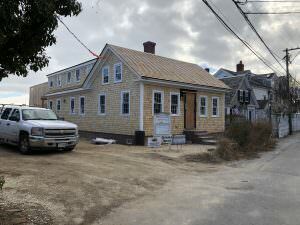 Provincetown – Studs To Shingles – Before And After. Published on February 4, 2019 in general info. 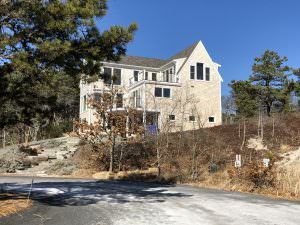 Closed Tags: Cape Cod Luxury homes, Cape Cod new construction, Cape cod real estate sales, Provincetown luxury homes, Provincetown new construction, Provincetown real estate. It’s the dead of winter here in Provincetown but there is tons of construction going on all over town. It seems like there is more than usual, but that could because the scale of some of these projects is so big. I’m going to try to keep you updated by posting a few projects a week. Many of these are renovations of private homes,. Other’s are renovations of multi unit properties or new buildings altogether. It’s fun to watch all these projects,, and easier to keep track of them n the off season. I’ll keep you posted. 51 – 53 Commercial Street sold for $5M back in the fall of 2016. The West End waterfront property consists of seven units and is next to the West End boat launch parking lot. Both parcels total 15,090 square feet. One of the prize waterfront parcels for sure. It is being totally renovated. or should I say totally rebuilt. Most of the buildings are being raised to protect against flooding. It is going to be one of the choicest waterfront developments in town. Rental property or condo conversion. I’ll keep you posted when I find out. 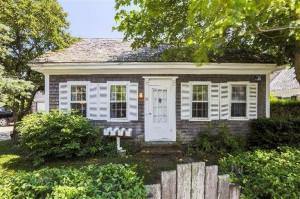 This property was offered for sale for the first time in over 65 years! The old Prince Freeman Apartments property was sold with the adjoining property at 53 Commercial Street. This parcel had and antique, full-Cape that was floated over from Long Point. (pictured). Directly on the bay-front is the seasonal beach house. Both parcels together total 15,090+- sq. ft. with 7 dwelling units. Another intriguing renovation is 16 Creek Round Hill Road. Its not a big property but the transformation is incredible. 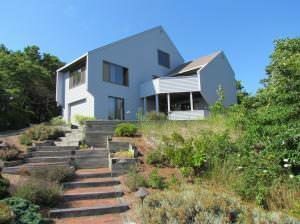 As you can see from the BEFORE picture it began as a neat contemporary house that high up on a dune with great views. It sold in September 2016 for $1.425M. It was transformed into a larger traditional expanded Cape. It provides a nice new signature at the end of Creek Round Hill Road. It sold in September 2016 for $1.425M.